Listening to and acting upon the wisdom of our Spirits opens up many worlds to us. For instance, by listening to the Elementals (the Spirits of the Elements on the Earth that compose everything here: fire; earth; air; water and ethers) we know where the ley lines of the Earth lie. That allows us to build structures upon her that, from the core, breathe and live in harmony with the land and its creatures. It allows us to know the energy configurations, geometries, patterns, cycles of nature and to practice it continually in our lives. So, here we are, sometimes in the woods and sometimes in the city, according to what is asked of us. Just as we have been taught by every Earth Spirit, we offer ourselves, in love and respect. The gifts that have been showered upon us, we share with you, as you wish. On other pages of this web site, you already have witnessed the tools that Spirit has brought into our lives. Use them for yourselves; they will take you upon your own unimaginable journeys. If you want to go deeper, then call us. We will share our experiences and our hearts. Because we understand that it is the nature of abundance and life force, itself, we offer ourselves through various services that can tune into you and your own learning’s, choices and ways of life. Together we can find ways to listen to the adventures that are all around you right now. Sometimes through the process of survival, each of us, alone, can grow numb to the adventures and the wonder that we truly are. That’s why we find each other -- sometimes it seems easier to see our true reflections in another’s eyes. As you browse through our Services listed below (the program insists upon listing them alphabetically unfortunately), we encourage you to look at Body Scans first in the Personal Listening section, as it can be the most efficient and understandable place to start. By listening to our Spirits, we are guided in everything we do. This frees us up to choose our path with clarity, respect and love, and along the way, we feel completely supported and affirmed. In fact, our Spirits celebrate every part of us more than we ever imagined was possible. If you would like to connect more deeply with your Spirits and your Guides, we can listen on your behalf. The one parameter we must observe in this process is respect. If you truly want to ask assistance of your Spirits, in respect, then we support that. Together we will open our hearts and hear the messages your Spirits offer to you now. What we ask of you is similar to what we ask of you in the Work/Playshops, yet deeper and more personal. For a few days before your listening, focus on who you are and why you want to speak with your Spirits. Create your rituals to honor the sacredness of this connection. Just by asking for this service, you have grown into a level of consciousness that invites the miraculous into your life. Indigenous cultures practice very specific ceremonies, like vision quests and sweat lodges, before they ask for their Spirits’ guidance. Consider this and hold a similar intent for yourself. During the personal listening, open up your heart. The mind, alone, does not easily understand anything beyond our five senses’ measuring. Allow yourself the luxury of exploring unlimited possibilities to find your truth and the assistance you need to live that. You will want to listen with your heart. We have performed this service many times over many years. Yet each personal listening is unique. We come to yours, open-hearted and new. That way we can reflect to you exactly what you need to hear right now. Perhaps the greatest service any of us can provide to anyone else is a clear, simple mirror and love- this we offer you. Whatever you receive from your listening is your responsibility. The more present you are during it, the more likely you will carry information directly into your life that can invite your most dreamed-of transformation. Working with your Spirits, empowers you. It shows you the path to co-creating your life, freely. We can arrange anything. Gather together any questions that you may have and/or be prepared to take notes, if necessary. Some possible types of listening that we can do together: listening to the Animals in your life; listening to your own body; listening to your parallel selves, etc. These listenings can be done: in person, over the phone, on e-mail or by transcription. Call us; we can create something that exactly suits your needs. Thank you. We talk about being Listeners of our Spirits and this not only brings us words to share with others, but visions as well, “Whatever form we need to find our truth will come to us.” With your kind permission, we can open our sight to scan your body’s energetic field and unconditionally gauge your physical, mental, emotional and psychic health and state of being. Sometimes people feel afraid about this information, yet it always comes in empowering ways. Our Spirits show us our strengths and challenges and therefore, where we can increase joy and release negativity to be incredibly, wondrously alive! The Body Scan generously notes your most timely issues/lessons—the ones you are energetically ready to embrace for healing and expanding your precious lifeforce as you choose. To honor that, we will suggest (and utilize on-the-spot if possible) immediate tools and practices to support balancing yourself: Stones & Crystals; your Elemental Birth Imprint; Aligning with the Elementals; Manifestation Movies; Sound tools such as Quartz Singing Bowls, Metal Singing Bowls and tuning forks; our own intentionally made Stonessences/Vibrational Jewelry/Wands/Manifestation Deck; food/fueling practices; Energy Movers; aura drawings; customized affirmations/rituals/movements— in short, we offer whatever your own body field requests for exact support right now. As Listeners, this is what we always focus on, regardless of what we “think” about it, or understand, or even know. You and your infinitely wise body are in charge of your vitality and well being through the ready freedom and fluidity of a Body Scan that speaks its own language and then reflects this to every part of your being— including your conscious mind— for potential, overall, spontaneous transformation and integration. In this growing, expanding consciousness being offered all of us as we enter the Aquarian Age, we have more conscious choices available as the truly evolving humans we are. The Body Scans honor and encourage this completely. During the Scan (which can be long distance or in person) you will receive a form that lists different categories of health and well-being. We will check the areas that are asking for your kind attention (then you will have a reminder of the practical areas your Scan covered) and we can offer tools and services to work with any imbalances. Here’s an example of how a Body Scan might manifest. Let’s say your Scan highlighted your liver as asking for your support. With your permission, we would listen to it and pass on things that it might request for greater happiness and vitality: beets; affirming “I detach from all negativity” every morning/noon/evening for two weeks; doing your Elemental Birth Imprint to see where your core lessons are (and how your liver is unconditionally playing them out); a tuning from a Nepalese 7 Metal Singing Bowl to ground your boundless energy; and an Elemental movement (posture) that would encourage more joy in every breath, etc. These tools and practices/rituals can integrate a freer, more radiant relationship with your liver and your whole being, not just for today, but for as long as you wish. If you keep up with the tools and practices, life will change within you and around you and you can attract more lifeforce to do what you truly wish. To support that, Body Scans can be a one-time eye opener or ongoing, integrating sessions where we will follow up on what happened in the last Scan and keep refining it according to the new person you are right now…..and now…..and now. It is glorious! To be clear, we are not doctors or psychologists or scientists, we are Listeners. Our hearts open to every respectful thing; we ask your body to tell us its story— to tell us what it wants you to know (and likely, to do) consciously now, to have an ongoing conversation of love and ever growing vitality always. We offer that because our Spirits have taught us to do that over many, many years (We always practice on OURSELVES first and foremost) to empower ourselves in our own healing. In our world, each of us is ultimately responsible on a very core-Spirit level for our own lives, joy, healing, and evolution, as we wish. Our own bodies and our Spiritfamilies continually offer us Body Scans & Updates so that we can choose our greatest, most glorious awareness always. And as we practice the offered options, our lives become full-on adventures that cannot be predicted in any old, linear-only, cause & effect terms. The Scans honor us as whole beings who with our Spirits can do any respectful thing we choose. That’s why we do not diagnose or prescribe in any way. Instead we unconditionally support you looking at yourself and your life in the most affirming, positive, and adoring terms possible. Wouldn’t you love basking in that? 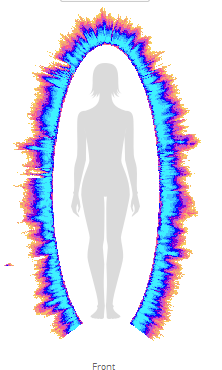 In a Personal Session, a Body Scan can include any of the other services we offer such as Elemental Birth Imprints or Aura Drawings, etc. The Body Scan is simply one way to open the conversation, not the only one, and does not have to be THE one. It is simply a way for us to Listen to how your own body prioritizes what it wants to say. If, for instance, instead, you felt most drawn to doing an Elemental Birth Imprint in your Personal Session you could choose that first and also potentially have a less focused Body Scan included in that session (because the prioritized focus would be on the Elemental Birth Imprint which would then be the banks that the river would flow through.). You are in charge. That is where the empowerment is and should be. Once you let us know your preferences, then we can adjust our Listening to serve you at the highest vibratory and energetic level respectfully. Everything that we create in AhhhMuse we have learned to do (and continue to learn every day) from our Spirits. We did not get college degrees in this; instead we were gently guided to gather the stories of Stones, Lakes, Animals, Stars, and all Beings of respect over a long period of time. Those loving stories tell us about ourselves and about how to live abundantly and freely. Unconditionally listening to life and acting upon that kind wisdom requires our constant, unwavering commitment and focus. In fact the more we travel this road, the more we learn, the more we are, and therefore, the more commitment our Spirits ask of us. It is actually the natural flow of life, love and abundance. Sometimes the challenges in this feel daunting. As we embrace more love, that love compassionately allows us to embrace more fears, even the ones that we buried so deeply that we didn’t know they existed anymore. Aligning and living with our Spirits offers us a full-spectrum adventure. With complete compassion it catalyzes all of our blocks and limits and illusions (How can you be more until you go through and really be the roadblocks?). Just when you feel life couldn’t get any harder, it gets harder AND easier. As a gift from your commitment, you find more than enough grace and compassion (and unexpected laughs!) to do and be anything. After all, that is our truest destiny as divine human beings upon the Earth. you . . . someone who will affirm you absolutely, unconditionally? We offer that because “someone” offers that to us every single moment (and more) in our daily lives. Our own Spirits grant us that no matter what we have done; they unwaveringly support us as the divine beings of love that we naturally are. What has been taught to us and offered to us, we offer to you. Not because we have your answers (We’re working on our own, thanks), it’s just that we have experiences that you may choose to embody and model for yourself, that may encourage you in all your learning. And if we can do it, then we know you can. Just recently, we have decided that we are ready to more deeply share our stories, our adventures, and all that we have learned on a more personal level by accepting Spirit’s invitation to share these things through Spirit Coaching. By aligning with our Spirits we know very immediate, clear, efficient ways to manifest the life of our dreams. And that’s what we’re living right now, every day. And guess what? It keeps growing. Our abundance and dreams keep growing and we keep receiving more. It is just plain unimaginable. It is our divinity manifest as physical experience. If you know that you want to live the destiny of your dreams, then call us. We are here for Spiritcoaching. Tell us what you want to create and we’ll listen to our Spirits and find the path that aligns with that right now. Not tomorrow, not someday, not when you catch up with everything else! To create your true life, you must create it now, for that’s the only place it exists. And we will support you with every way we know and don’t know. We will listen to our Spirits and together co-create an affirming, grounded, respectful program to directly manifest your dreams now and/or to deal with practices or issues in your life that you are choosing to change. In Spirit Coaching, once you submit a Statement of Intent, you will receive a specific, detailed support program from us and Spirit and the Elementals that you then get to agree to or refine, that we will then implement and go over on a regular prescribed basis. This is a very individual process that is designed at your soul's level (and choice) to respectfully ground and integrate your Statement of Intent through specific Manifestation. It is always the chosen space you are moving into, respecting where you have been and bringing it all into perspective in the present moment. The Cost for Spirit Coaching varies according to the plan chosen by you and your Spirit. Obviously, the more we are checking in with you and interacting with you, the higher the Cost as it involves more of our time. As always, we are open to a sliding scale, trade and miraculous options! This is not to say that we are ruled by the planets. However as humans who exist as part of the Earth and its seasons, we do tend to be affected by the patterns of life around us. For instance, in the spring, we find ourselves more revitalized; during a full moon, our emotions flow more freely, etc. At the core we respond to the sun, moon and the stars, just as all the lifeforms upon the Earth do. Astrology observes the patterns of those responses and translates them into human personality traits. By consciously and objectively viewing these tendencies, we present ourselves the opportunities to not be ruled by anything except our clear, free choices. I (Marilyn) taught myself the language of Astrology years ago. As a friend of mine who watched me study it said, “You’re not learning this, you’re just remembering it.” It’s true. Astrology flows in me naturally. I can’t quite explain that, but put a natal chart in my hand and it just makes sense. I continually find myself saying things about it that I don’t even know until they come out of my mouth. And once I hear them, I know they are true. I can even explain them if you want. Actually when I first started studying Astrology, I didn’t expect it to be very accurate. I freely offered to do hundreds of charts, just for the practice of it -some of the people I knew, some of them I didn’t. Nothing like that mattered. I gave them my interpretation of their charts and astrology was more accurate than I could have ever imagined. The volunteers were equally stunned. To understand how and why astrology worked, led me on a metaphysical journey that directly showed me that all of life is interwoven on a core (subconscious to humans) level where everything makes perfect sense. I discovered that anything can be used to interpret these patterns of life. If you want, you can find out about yourself by observing the flow of the tides or the swirl of colors that falling leaves form. Those same, sometimes predictable, patterns of life flow through all of us. To see what it means to us humans, simply requires committed observation. Astrology just observes those patterns through the planets’ travels. The way that I learned Astrology was to start off with my own chart. After all, having already lived a few years, I knew what had happened to me. So I studied the events and the astrological patterns at those times and I not only learned about Astrology at the core, I found out about me at the core. I felt incredibly empowered. By utilizing the objective mirror of Astrology I could read, calmly, about my most ingrained behaviors. And in pointing them out to me consciously, I could actually decide whether or not I really wanted them. Easily and immediately increasing my awareness allowed me to change things about myself I no longer wanted but couldn’t get a handle on previously. Now Astrology is not the only tool that cultivates this kind of awareness, but for me it’s fast, objective and empowering – and I love that. If you want to go on a journey of self-awareness, then call me. I will happily read your Birth Chart and we’ll explore together. I feel that everybody ought to consider having a working knowledge of their own lifestory through Astrology. It gives you information that allows you to change or to support yourself in any of your choices. Since it is a system of observation, it presents to you your life, freely — there need not be any judgment involved. For me personally, Astrology offers itself as a beautiful language — beautiful because it invites me to express both my left and right brains equally. The left brain calculates the angles of the planets (Astrology is really a cousin to Numerology) and brings in everyday practicality and sense. The right brain takes the symbology and the glyphs and intuits the meanings beyond what can be reasoned out by my five physical senses. The combination literally brings me out of myself into an ever new, expanded and constantly evolving state. To read a chart for someone becomes an altered state of reality for me. I study the numbers in advance of the reading and during the reading itself, I release myself to the life force flow in astrology itself. Its ancient wisdom allows my core to connect with you and all your current needs and desires (and sometimes they are ones that you were not even able to ask for….). Each chart interpretation comes out in a totally unique fashion, matching the person’s complete uniqueness and the unique energies involved in the exact moment that we do the reading. Everything comes together in perfect synchronicity and I trust it. I invite you to do the same. Please email mqt@AhhhMuse.com for regular and contract reading prices, thanks!!! Relationship Charts — Through synastry or composite charts, we can explore how you and anyone else relate to each other. Synastry compares your chart to someone else’s and a composite chart is a separate chart of your relationship. We can do relationship readings between you and several others, simultaneously. My favorite one is to do the composite of a whole family. The Natal Chart of any Significant Event in Your Life — It could be the start of a business, the date of a move, or the beginning of a new life direction. You choose. All I need is the same data that I need for your natal chart. Transit Flows — Once we have done your natal chart, then we can see how the energy of the current season may be interacting with you. During certain times of year, certain activities flow more easily than others. We can determine these times and you can choose from there. Your Natal Chart — All we need is your date, place of birth and the exact time of your birth from your birth certificate. desire, to have Tohmas come to you and accomplish these things in person or to locate them in the first place. We are also available as consultants through our Listening process to support you in the most efficient and respectful geometrical placements and alignments of certain items like the Shiva Lingams, and to also make available to you, (again through the Listening process), the direct wishes of these Beings as to their own choices as to placement, service and living with them. We are here to have ongoing dialogues with all the kingdoms, (Mineral, Plant, Animal), and that includes you. Our relationship does not stop when you purchase something from/with AhhhMuse, it just begins. Please allow us to continue to be of service to both you and the items you are interested in inviting into your life. This is our life and our service and our commitment. It does not go away. It can only change along with all of us as we evolve consciously. We are always only a phone call or email away and we offer our continual presence of holding the space with aligned intent always, all ways. For years, we have listened to the Land and the way she breathes and moves and provides so bountifully for all of us. Because of that exchange we cannot build our homes and structures upon her without talking to her first. With graciousness, she shows us how and where we can put our shelter in ways that allows her ley lines to run freely, energizing us and the beings around us. She also shows us how to build without disturbing the trees and the animals. Again, how we make our home, right down to its shape, actually creates energy patterns that support us and all the other beings who live alongside of us. And once we are in our house, we continue to listen to everything so that we can constantly choose ways that allow us all to live together in natural abundance and peace. This way of building from inherent respect creates an actual living environment with all who are in relation with it, including the forms of life that quite a few humans would not consider considerable forms of life, thereby practicing the true roots of sustainability from unconditional love and wholeness. This way of life evolved a practice called, Living Spaces. Living Spaces allows us to share what we hear from the Earth. If you want to build like this, then we welcome you to a process where we can build structure in equal co-creation with you and Nature. It is not our path to come to you as “experts” that you must blindly follow in order to get the perfect building or to get the job done “right.” Instead, we offer to you our open hearts. If you join us in that, then we listen to our Spirits together and let the adventure unfold. Each of us will contribute our own perfect gifts in that and truly, miracles will be born. That may sound scary at first. Some of you are saying, “How will I know how to build like that? What do I know about listening to the Earth? What if I get it wrong?” All good questions to ask. So, let’s put it this way. Whenever you build anything on this Earth, you are calling upon the innate Spirit of creativity in you. It’s in all of us, it’s the core of lifeforce that fuels each and every act and thought we have. It naturally listens to the lifeforce in everything else, offering us the choices and directions we seem to think of for ourselves. If you choose to go to that core creativity to find previously unimaginable dreams to build, call us, that’s how we build- equally honoring you, ourselves and all things. Within that process, all sorts of deep emotions may arise and we also honor that. Acting upon our natural co-creativity automatically brings up everything (including all the choices we made in building ourselves as human beings) along with the constant opportunity to freely be our next, new, true choices, now. As you can see, building consciously is sacred. For ourselves, we consider all that we create to be sacred structures-living, breathing spaces that will reflect, immediately, whatever you and anybody else working with you puts into them during the building process. Obviously, that feels like a tremendous amount to consider. Probably just the thought of it seems daunting. Stop. If you don’t know what to make of this, just call us. We can narrow down this process to just the elements that are pertinent to you right now. We’ve done this before and we can share our experiences with you directly. Now let’s talk about possible logistics. Most of our designs come from our dreamtime. We simply open up our hearts to what’s possible and we often awaken with a complete design in the morning (Did you know that Einstein said that he dreamed the theory of relativity?). We invite you to join us in this. Bring us all your wildest imaginings and dreams. We like seeing how the impossible unfolds and builds itself. That sounds hard to explain, but it is wonderful to behold. Let’s just say that at the beginning, let yourself envision anything. Try not to limit yourself and see where your own natural creativity leads us. We also specialize in construction off the beaten path. It’s incredible to build right with nature, especially in places that someone else said was impossible. Although, we must say, it is equally incredible to build in the midst of the city, with respect. Finally, we devote ourselves to working with you in whatever capacity best serves you and your living space. We encourage you to actively participate in each level of construction, regardless of your current skill level. It’s your energy that will be built into your house/office/whatever and that is the energy that will imbue your new structure. Just like anything else, whatever you put into something is what you get out of it. We choose to support you in every part of that process, physically, mentally, emotionally and spiritually. As for ourselves in that process, we will design, hands-on-build and/or coordinate all the construction work, as you wish. 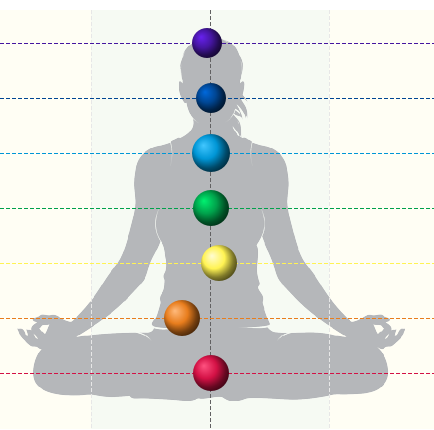 We want your new space to reflect the balance of your needs and wants in a sacred manner. Likewise, we will honor our bodies and Spirits in all of this and will tell you what we choose to do and what we choose to contract to other laborers, as necessary. In co-creating sacred structure, how we come together and work infuses what we build. So we invite you to call us, see how our energies combine, see what possibilities find us and see if you want to co-build a dream. People regularly ask us what kind of building designs would work for them in their area. Now that’s really exciting! We listen to the Land and she tells us what will work with her body and the bodies of the people asking us. It’s such incredible wisdom that sometimes we don’t even understand it all until later. But when we do, it affirms us all even more. To design like this increases our creativity, our joy and our unimaginability. With the popularity of feng shui, people also ask us to help them place their buildings and then their possessions in their buildings for optimal harmony. Of course we say, “Yes.” Again, we listen to the movement of the Earth’s ley lines and her contours to determine specific building sites according to specific desires. All you need to do is to match your energy with the energy running through a particular area. It’s the same with placing objects in your home or office. Listening to the energy lines allows you to put your things on those lines that complement your specific needs and wants. In our experience, this practice is very powerful. If you want to create something specific in your life, you can place sacred objects in your home or office, in areas that intentionally match with the natural energy of the Earth. Then you automatically attract that particular energy into your life and it simply builds from there. To us, this practice means acknowledging and honoring your innate co-creatorship with the Earth- what could be more powerful than that? even though some of us will say that it came without warning. and spoke the language of love. when there is enough time. in the language of love. we don’t have the time, the money or the talents. This message is meant for all of us. It is our contribution to the language of love. We looked around at how humans were building upon the planet and we said, “This is not our way anymore.” So we set forth to build anew, even though we didn’t know how it would be done, or how the authorities in our life would receive our intent. We did it because we can, because we choose to speak the language of love. We knew that if we translated the rhythm and language of love into building, then we would create something that would grow all the time and would harmonize with all the beings of the world. Then we would be making something that would speak on behalf of us, while simultaneously honoring all others. So that is what we have done. We have created homes, shaped out of our respect. Because of that they are not just our homes, they belong to everybody. They are dedicated to all the children of Earth, since each one in its own unique and even inexplicable way, taught us the language of love. In their/your/our honor, we offer our practice of building as a story for all of us. Listen and find a page and make it your own. Share it with all other children of Earth. This is how we know how to build a future not just for ourselves, but for all of us. Welcome. We also have a history of building things (homes- see the House as Teacher Book). This is not really our main focus anymore as we are so busy doing other things, but is still a possibility for those of you wanting to and willing to commit to creating Living Spaces. We are very fortunate. We have been invited to many unique places on the Earth and in visiting these places, we experienced totally new parts of ourselves. Traveling encourages us to change our perspective, immediately and then once we have done that, we keep changing and growing tremendously. Seeing the world gives us unimaginable wisdom. Though we are homebodies, too, we love to travel and are constantly on the road or in the air. Our Spirits invited us to do this and to do it very consciously. At various times, parts of the Earth call out to us. She asks us to come and put our bodies upon her different locales. We infuse her with the energy of our awe and she infuses us with her love. The combination is very sacred. To us that’s what a sacred site is — the connection of respectful give and take between humans and other life, on a specific place upon the Earth. The infusion of that respect is held in the Earth and others who come to that same spot can feel that and help it to grow within them and around them. Consciously traveling the world is like consciously traveling through your own life. When you know that, you empower yourself to experience ever more vibrant levels of life. We also tend to say, "Yes!" and go where we are invited, whether it be by the Earth Mother, the Elementals, or humans. Don't be shy. Speak up if you would like us to come your way for whatever reason or no good reason at all. You never know what good might come of it! **Also: ask us about our NEW Gas Discharge Visualization Machine from Russia that is an immense evolvement of Kirlian photography that shows your energy field and bio-photo organizations!! !